Riclofen 25 mg Tablet is used for muscle relaxation. 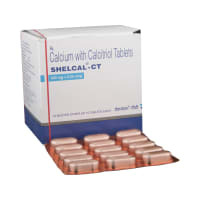 It treats muscle spasms which may occur in diseases affecting the nervous system, such as cerebral palsy, multiple sclerosis, motor neuron disease, or injury to head, brain or spine. Take this medicine in the dose and duration as advised by your doctor. Swallow it as a whole. Do not chew, crush or break it. Riclofen 25 mg Tablet is to be taken with food. Riclofen 25 mg Tablet is a muscle relaxant. 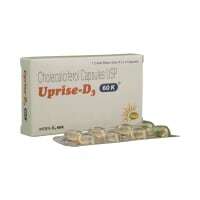 It works on the centres in the brain and spinal cord to relieve muscle stiffness or spasm without reduction in strength. This relieves pain and improves movement of muscles. Riclofen 25 mg Tablet may cause excessive drowsiness with alcohol. Riclofen 25 mg Tablet may be unsafe to use during pregnancy. 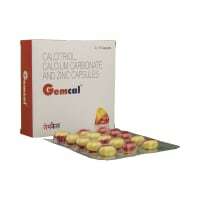 Riclofen 25 mg Tablet is safe to use during lactation. Human studies have shown that either the drug does not pass into the breastmilk in significant amount or is not expected to cause toxicity to the baby. Riclofen 25 mg Tablet may make you feel dizzy, sleepy, tired, or decrease alertness. If this happens, do not drive. Riclofen 25 mg Tablet should be used with caution in patients with kidney disease. Dose adjustment of Riclofen 25 mg Tablet may be needed. Please consult your doctor. Riclofen 25 mg Tablet should be used with caution in patients with liver disease. Dose adjustment of Riclofen 25 mg Tablet may be needed. Please consult your doctor. What if you miss a dose of Riclofen Tablet? If you miss a dose of Riclofen 25 mg Tablet, take it as soon as possible. However, if it is almost time for your next dose, skip the missed dose and go back to your regular schedule. Do not double the dose. Riclofen 25 mg Tablet provides relief from rigidity, tension and stiffness in muscles (spasticity) that may occur due to various conditions affecting the nervous system. Take it with or after food or a glass of milk. Riclofen 25 mg Tablet may cause dizziness or sleepiness. Do not drive or do anything requiring concentration until you know how it affects you. Avoid consuming alcohol when taking Riclofen 25 mg Tablet as it may cause excessive drowsiness. Inform your doctor if you are pregnant, planning to conceive or breastfeeding. Do not stop taking it suddenly without talking to your doctor if you've been on it for a long time. Getting nerve pain from brain to right foot. Sometimes pain is so severe that I can't walk also . Doctor suggested me myospaz muscle relaxation medicine and it worked. But after that also periodically in every 15 days m getting minor pain . I work in night shifts also for 10 days in every two months and pain is more when I do night shifts. Thank you for your question. We understand your concern. I would urge you to consult nearest psychiatrist for assessment and to rule out any anxiety disorder. For anxiety you can do lifestyle modifications. You can practice yoga and meditation. You are advised to exercise regularly and do breathing exercise. Above methods are priceless to reduce anxiety. For relaxation, you can read about Jacobson progressive muscle relaxation" on internet and practice it." I have diagnosed with some food allergies(reports attached). When i take food muscles pain starts. I have taken modeslor tablet for about 2 months i felt comfortable with that when i stop taking that muscle pain started again. Should i have to continue this tablet. What diet should i have to take now.Are these allergies related to some kind of liver problem? What is the treatment for muscle strength apart from exercise. Have muscle stiffness on neck and lower back. MRI shows nothing much and doctor suggest muscle weakness. Need to know longterm treatment which would be useful for getting muscle strength. Do you have any questions related to Riclofen 25 mg Tablet? No. Riclofen is not addictive and has not shown any habit forming potential. Yes, if prescribed by your doctor, Riclofen is usually safe to use. In case of any unwanted side-effects, consult your doctor. Q. Is Riclofen a narcotic or controlled substance? No. Riclofen is not a narcotic or a controlled substance. It is available from a pharmacy on providing a valid prescription from a doctor. Q. How long can I take Riclofen for? White PF, Katzung BG. Skeletal Muscle Relaxants. In: Katzung BG, Masters SB, Trevor AJ, editors. Basic and Clinical Pharmacology. 11th ed. New Delhi, India: Tata McGraw Hill Education Private Limited; 2009. p. 463. Briggs GG, Freeman RK, editors. A Reference Guide to Fetal and Neonatal Risk: Drugs in Pregnancy and Lactation. 10th ed. Philadelphia, PA: Wolters Kluwer Health; 2015. pp. 121-23. Samarth House, 168, Bangur Nagar, Off Link Road, Near Ayappa Temple & Kallol Kali Temple, Goregaon (W), Mumbai - 400 090.